In 2009, I bought the Mark Synnot guidebook to Baffin Island. It was gift for my girlfriend at the time, Carlyle, a simple gesture to encourage her dreams. She pawed over the book endlessly, looking for an adventure amongst the towering monolithes of the Norse gods. After folding the corners of many pages and taking notes of the unclimbed walls, she applied for the John Lauchlan Award to climb the imposing walls of Beidablik Peak, she did not receive the award that year. Even though she did not have the means to get to Baffin Island that year, she remained keen and continued her scheming intent on visiting the land of the north. 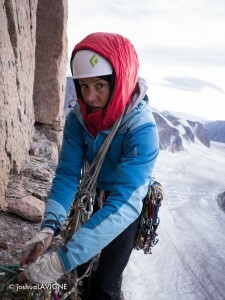 I on the other hand was a little less keen on climbing in Baffin Island. I had visions of wet and cold climbing mixed with epic hikes through mosquito infested bogs; rock climbing north of the Arctic Circle seemed improbable at the best of times. 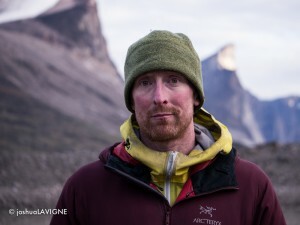 But my opinion about climbing in Baffin and specifically Auyuittuq National park drastically shifted after reading Jon Walsh’s account of his trip with Chris ‘The Prophet’ Brazeau in 2009. They climbed until they could barely walk or lift their arms, they did 3 separate ascents of Mt. 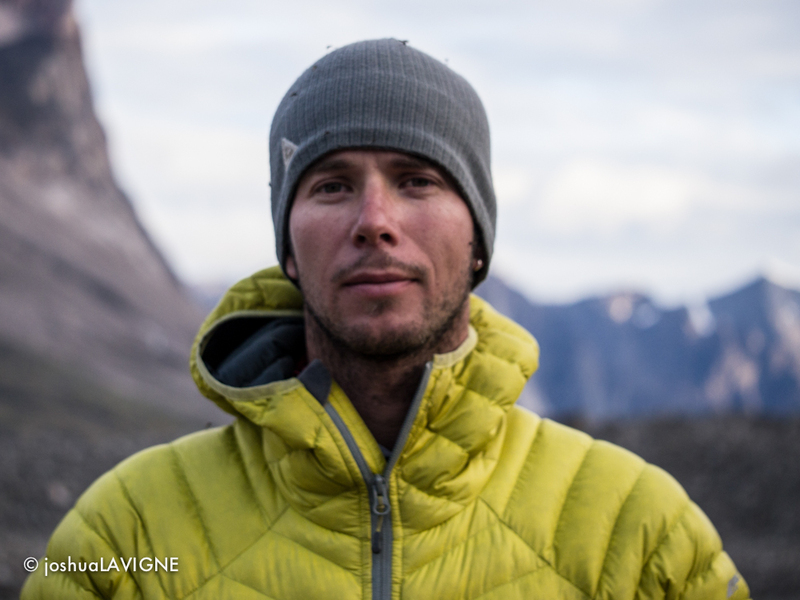 Asgard (including a FA) and 4 other ascent of major peaks in the area. You can check out his trip report here. 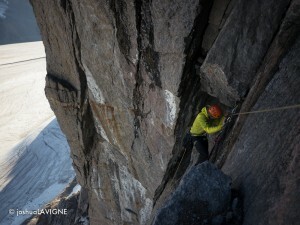 So when Jon asked me to join him and Ines Papert on a trip to climb on Mt. Asgard, I took his word that we would have minimal slogging and many pitches of climbing in the sunshine on some of the best granite anywhere. Jon was mostly correct, we only had 7 days of slogging (which was pretty good considering most parties going to Asgard have at least a dozen) and we climbed two summits, Mt Loki and Mt Asgard. Here is a trip report which Jon put together about the trip. I am slowly going through the video footage and hope to post something soon. Stay tuned. 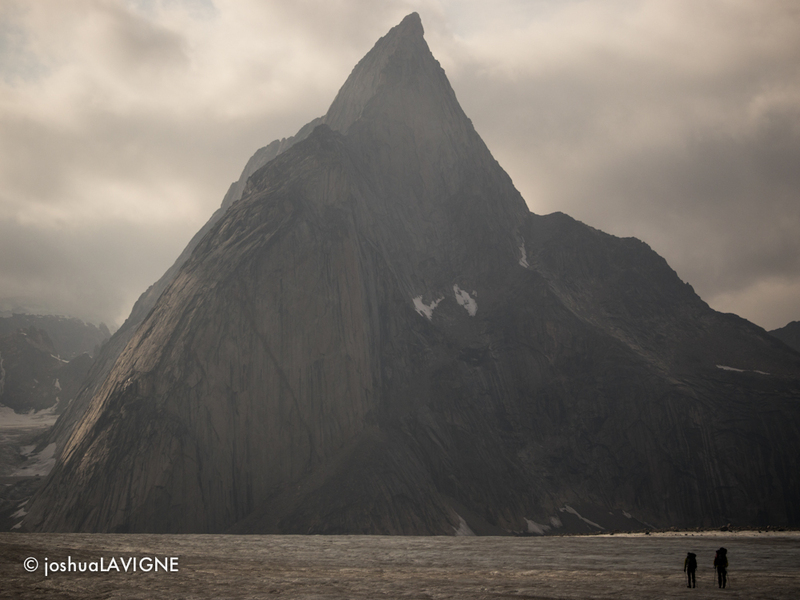 On the morning of July 17th, Joshua Lavigne, Ines Papert and I, got off the plane in Pangnirtung, Baffin Island. Three hours later we were cruising past the icebergs on the Fiord, propelled by the twin outboard motors on the back of our outfitters fishing boat. We soon said our goodbyes, arranged a pick up date, and began the trek up the Weasel Valley into Auyuittuq National Park. After three days of rugged approaching, frigid creek crossings, and tantalizing vistas of the valley’s huge granite walls, we arrived at base camp on the Turner Glacier, directly below the North Face of Mt. Asgard. Another big day was spent returning to the valley bottom to retrieve a cache of supplies and equipment that had been placed in the winter by snowmobile, which was followed a much needed rest day. More rest would have been nice, but a second sleep-in would have to do. 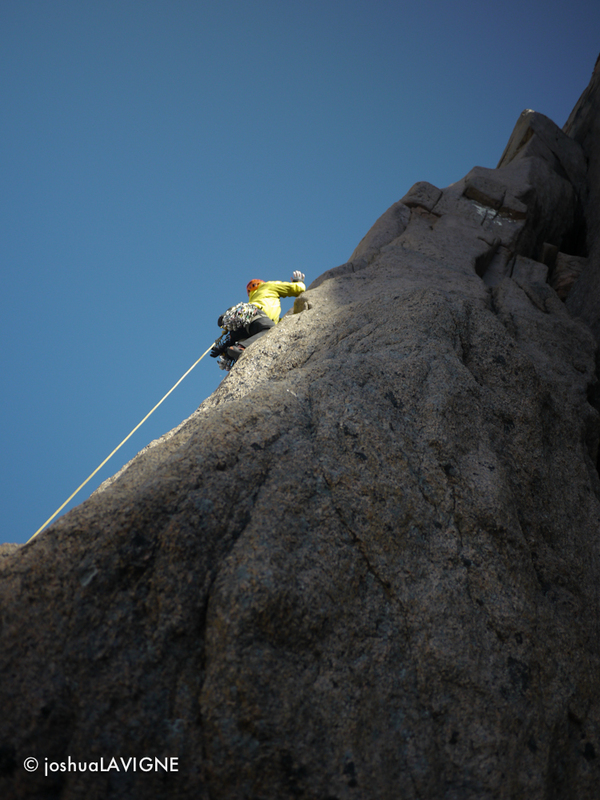 Great weather had us setting out up the nearby south buttress of Mt. Loki, the second most beautiful peak in our vicinity. 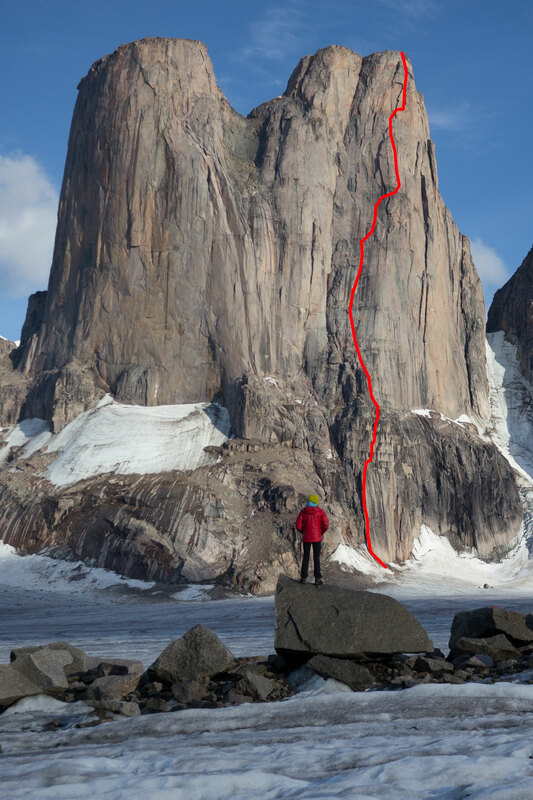 A continuous crack system from glacier to summit enticed us, and we climbed it in thirteen 60-meter pitches. Old rappel stations were encountered the whole way. We suspect we repeated the only route described in the guidebook, put up by Kiwi climbers some 20 years earlier. 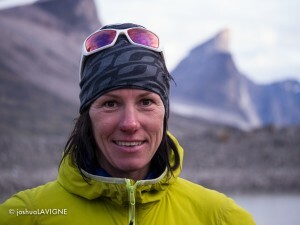 It was likely the second ascent, first free ascent, and was very similar in quality and length to the Bugaboos ultra classic Becky Chouinard. If this route had been in the Bugs, it would see daily line-ups! After another rest day we committed to our main objective, the 1200-meter unclimbed north face of Mt. 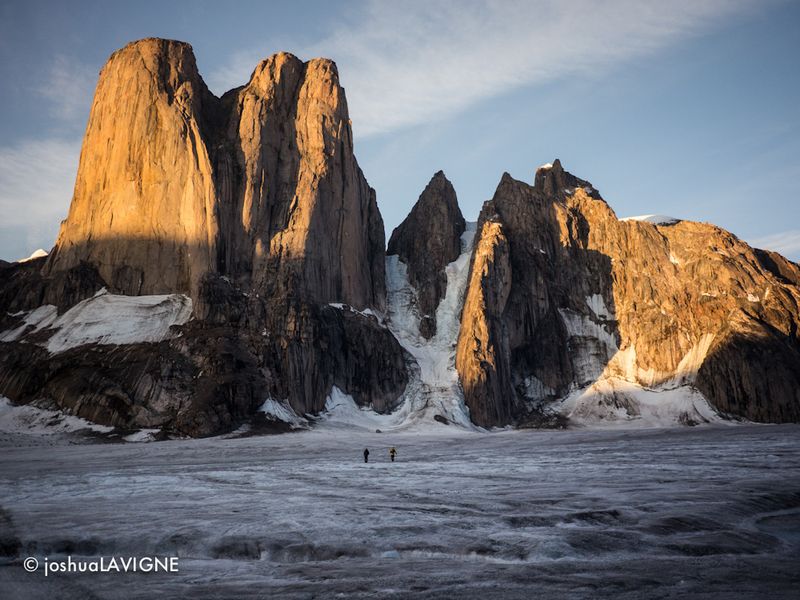 Asgard’s south tower, with three days of food, fuel, and good weather forecasted. We started right at the toe of the NW prow and were soon making good progress, leading in blocks of three to five pitches. 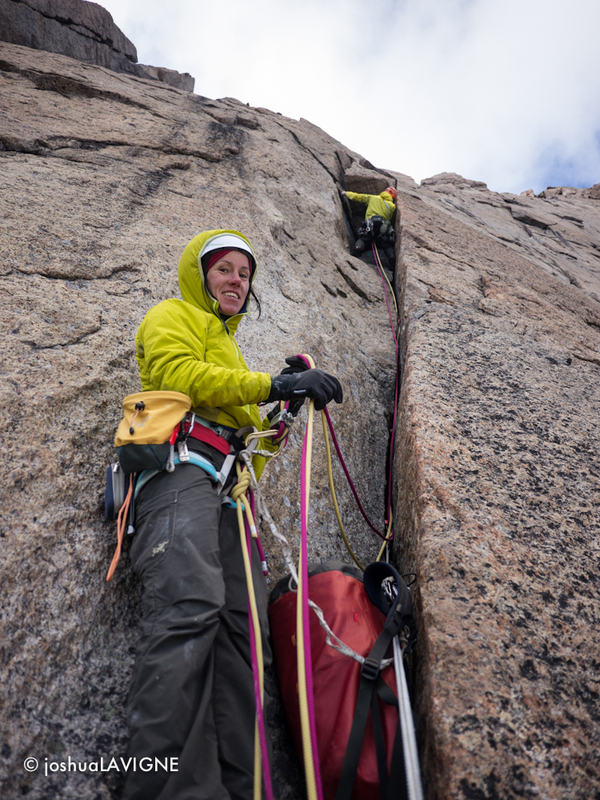 One seconder would usually follow on ascenders, while other would climb the pitch, except on easier or traversing pitches where both climbers would climb. After 12 pitches, we ditched our bags on a big ledge and began exploring options. Two and half traverse pitches were climbed towards the west face, where we were hoping to find access to a spectacular system of corners and face cracks, but to no avail. After reversing the traverse and deciding to bivi on the nice ledge sheltered by an overhanging corner, two pitches of difficult wide cracks were climbed, and 75-meters of rope were fixed to speed things up the next day. 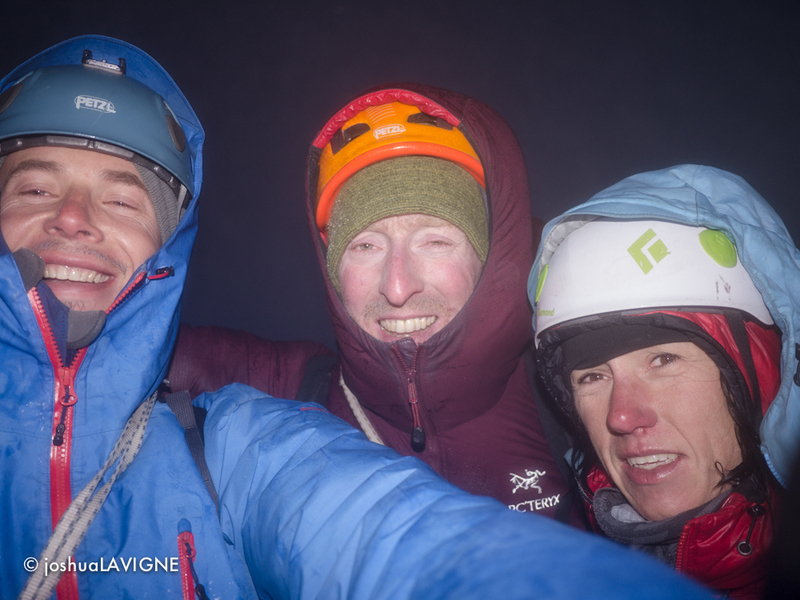 With two sleeping bags zipped together and three people inside, it was one of the warmest bivis on a ledge any of us had ever experienced! The next day, we ascended our lines and continued to the top, eventually wrapping around to the west face. Here we found by far the best climbing of the trip. Although the stone quality had been excellent the whole way, it seemed to get better the higher we got. 150-meters from the top, dark clouds swept over from the south, and it soon began to lightly rain or snow. At 11 p.m., we all stood on the summit, shrouded by thick fog that limited the visibility to a mere 30-meters. Despite the poor visibility but with previous knowledge of the descent from a few years back, we decided to begin the rappels down the normal descent route of the smaller south side of the mountain, hoping to escape the exposure of the summit before the conditions worsened. The wind was gusting hard as the storm intensified, and it was the darkest park of the arctic night, yet we hadn’t anticipated the crux to be on the relatively easy / straightforward decent. The technical rappelling, interspersed with loose slippery down climbing went by slowly but surely. We were making good progress, but already cold and wet before it started raining and eventually snowing in the early hours of the following day. With only 300 meters of 4th class slab scrambling to go to reach the glacier we had no option but to huddle under the 8×10 foot tarp we carried until conditions improved. Finally, after about six long hours of shivering, the sun came out and warmed us just enough to continue safely to the glacier, where we were able to eat, drink, and recharge for the hike back around the mountain to base camp. All 29-pitches of our route were free climbed, on-sight, except for a five-meter section of icy squeeze chimney with verglassed walls. Had it been dry, it would have been a straightforward bit of 5.10. It was the only aid on the route save for one wet move on the final pitch. Technically, the hardest climbing had been 5.11+, which was certainly easier than we had expected, and the route would be a good candidate for one-day, all-free attempt, for a two-person team. After some rest we moved back down to the Weasel Valley, intent on spending our last week on some other peaks we had eyed up on the way in. However, the sad news of my father losing his 8-year battle to MSA, a rare form of Parkinson’s disease, reached us by satellite phone and put a quick end to any climbing thoughts. The new task for me was to make it to his funeral in just three days. A three-day hike had to be made in one huge day, and then flights needed to be changed. So with heavy packs, and heavier hearts, a difficult and rainy trek began back to civilization began. Joshua and Ines had no issues with accompanying me on this for which I was grateful. We considered ourselves lucky to have had the weather and conditions at the start of the trip, and all felt satisfied with what we had just accomplished. With the cold, low-pressure weather system that had just settled in and that was also forecasted for the week ahead, it was perhaps just as well to be leaving, this special and spectacular land. Also, a big thank you to the staff at Auyittuq Park in Pangnirtung, for being so helpful and considerate surrounding the difficult circumstances we faced at the end, and to our outfitter Peter Kilabuk for the boat services. 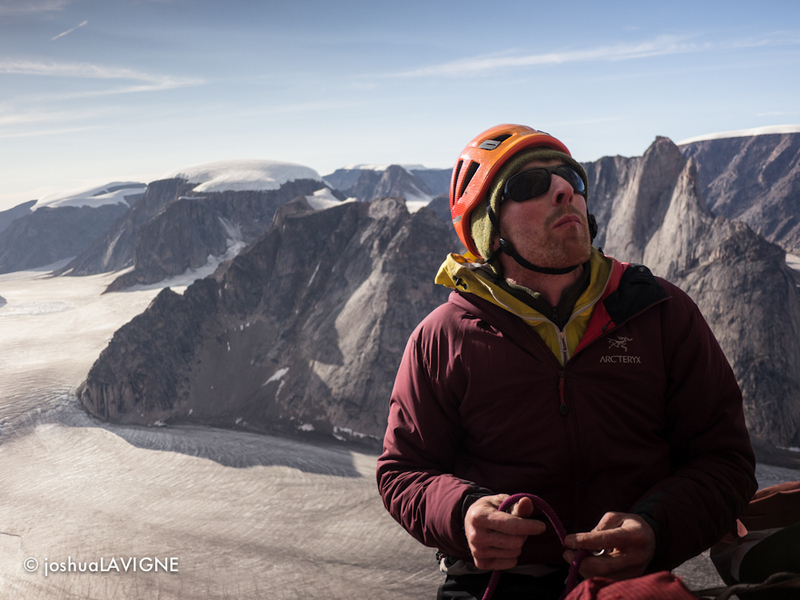 The 1200 metre sit start to the South Tower of Mt Asgard. So cool! Can’t wait to see the video footage. Sorry to hear about Jon’s dad passing away though.